This Orbit hose-end shower wand has a ratcheting head that rotates 180 degrees and a durable construction making it the ideal watering tool. 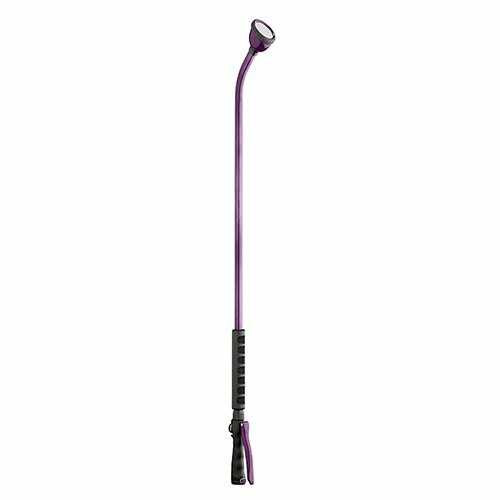 The spay pattern on this wand is a gentle rain-like spray that is ideal for watering plants and delicate flowers. This wand also has a convenient and simple front trigger design and a flow control lever that provides the user with flexibility in watering. The color of this wand is Purple.